Tools used for sanding can be the best, and the most-used tools in one's modeling arsenal. They can range the full gamut from a simple, single piece of sandpaper to a tool that can consistently help one achieve a purpose. 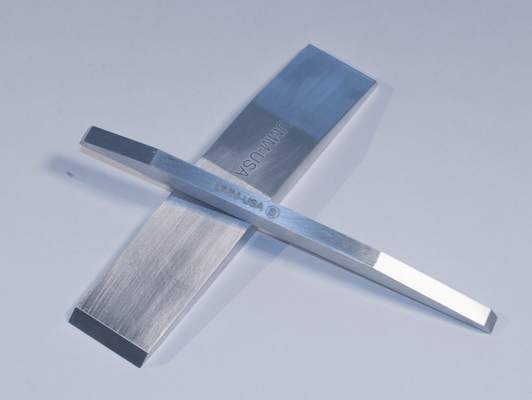 It's in that last range these Hand Sanding Bars from UMM-USA exist. 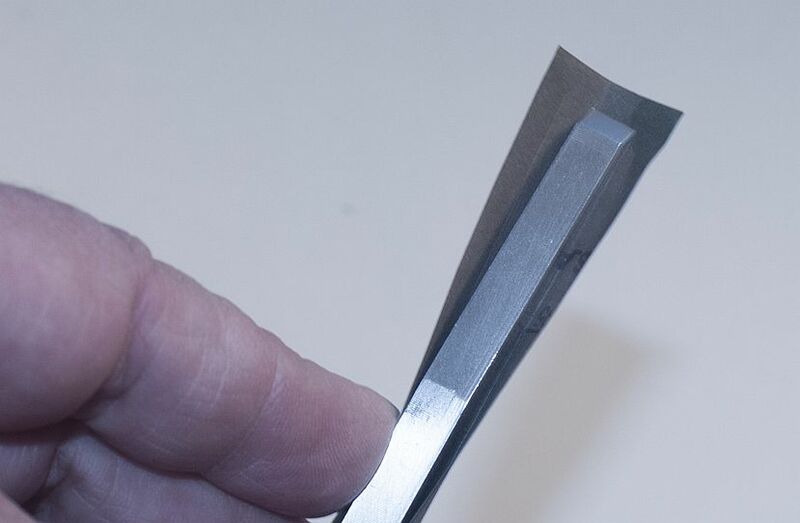 Yes, you'll need to use your own sandpaper and cut it to fit the Bars but that's probably more economical than having to constantly buy new sanding sticks when the sandpaper is filled and useless. In addition, since these bars are made out of aluminum they will hold their shape longer than almost anything you can create yourself. There are six bars in a standard "set" (F, S, M, L, XL and XXL) and all are available separately. In addition, there is a newer, Extra Long Bar (7.0 x 0.5) that was recently released. I was sent the Small and XXL bars to review. 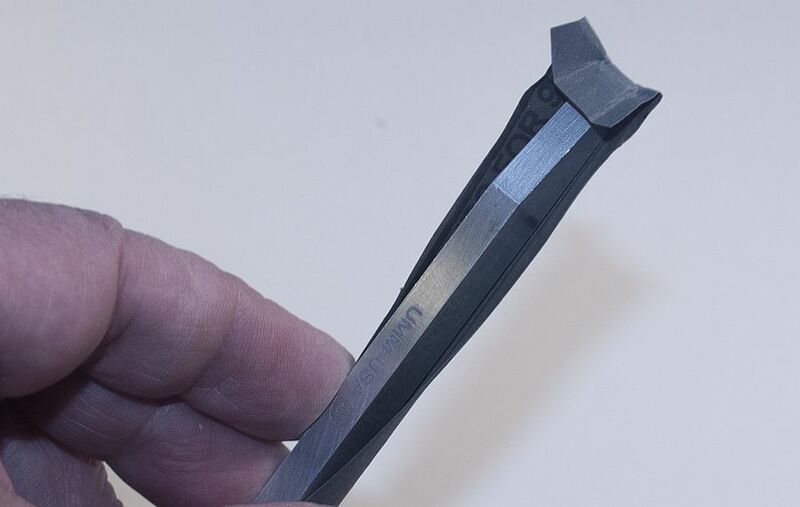 The ends of the Small Bar are tapered in a way that should fit into most places and each end is tapered differently. You can either hold the sandpaper in place (as I have done in my photos) or you can use some sort of double-sided tape to keep the paper static. 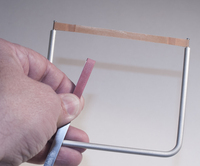 You'll also notice in one of the photos the Flex-I-File strip sanding paper is the perfect width for the Small Bar. There is no trimming needed and with the loops at the ends (to fit on the ends of the Flex-I-File) you can use "something" (maybe a "twisty-tie" you see on bread bags?) to keep the strip in place. Using these bars will give a new level of control over just "plain" sandpaper. 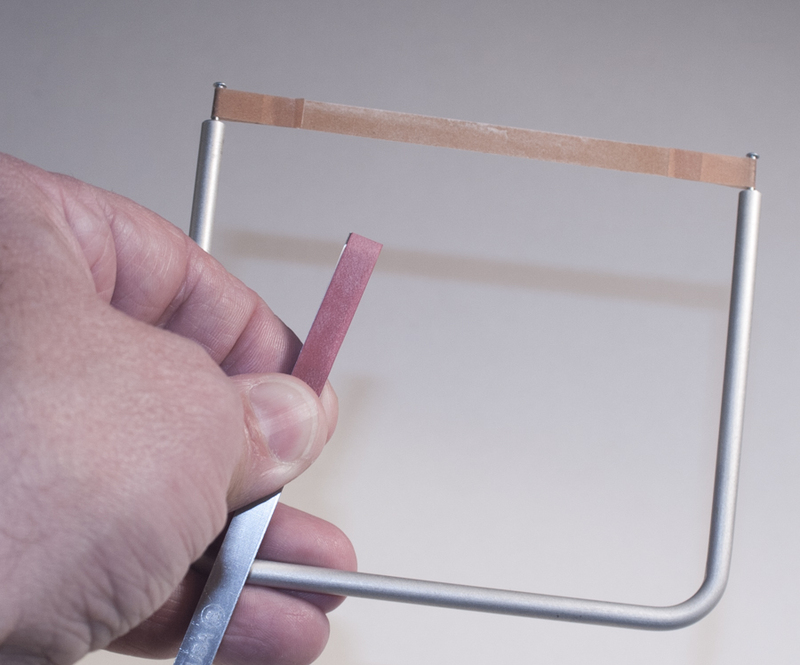 Cut the paper in such a way and you'll be able to get into tight spots with the smaller Bars, or sand large areas with the larger Bars. With the XXL Bar received it's another tool that can be used to sand the pour stubs from larger resin pieces, or even can be used to sand out smaller parts on vacuum-formed kits. You're only as limited with these bars as your imagination can take you. I definitely thank UMM-USA for the review bars. I will definitely buy the Fine Bar soon.